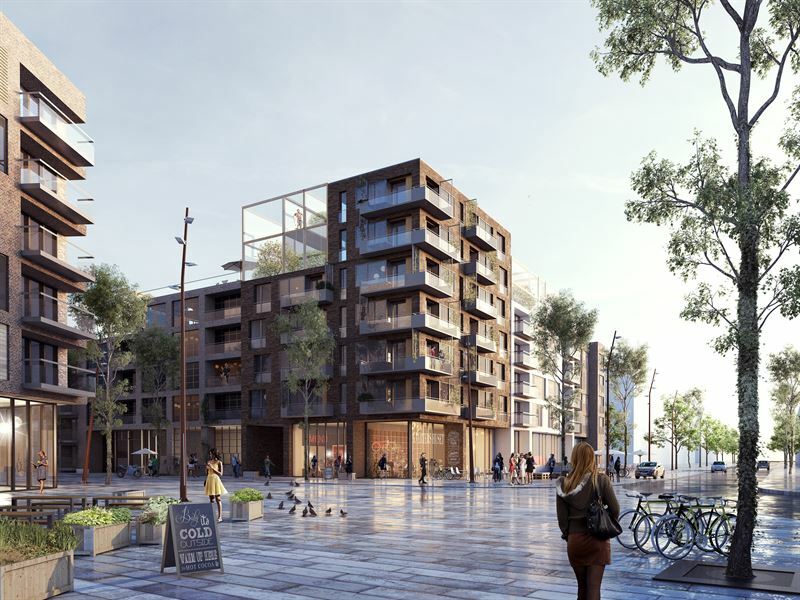 SSM Holding AB (publ), Sweden’s leading housing developer when it comes to smart and affordable housing, is starting production of the Group’s first rental tenancy project. The Täby Turf project is attractive and centrally located in the emerging Täby Park district and includes 176 residential units. The project has an exciting and innovative design. The first tenants are expected to move in during 2020. The project is being run solely by SSM with the intention to manage the property itself. SSM is continuing to realize the Group’s long-term business strategy to produce 60 percent cooperative apartments, 30 percent rental units and 10 percent student housing. Today marks the start of the Group’s first rental tenancy project, which will be run solely by SSM with the intention to manage the property itself. An additional approximately 40 percent of the Group’s other building rights, which are currently in the planning phase, are suitable for rental tenancy projects. The project, which is based on a land allocation that SSM acquired, through competition, from Täby municipality in early 2017, consists of 176 residential units and is part of the new Täby Park district that will include at least 6,000 residential units. Täby Turf is attractively located near the Täby city center, just 400 meter from the Roslagsbanan light rail station Galopp Field. It will feature a fresh design where the buildings will vary in height and feature brick and plaster facades. The floor space of the project totals circa 8,500 m2 and the apartments are one- to three-room units of 35 – 70 m2 of which 85 percent is are one- and two-room units of 35 – 48 m2. The project also has commercial premises in the form of three retail premises and a preschool for approximately 40 – 60 children. - It’s a great pleasure to be able to announce that we’re starting production in SSM’s first rental tenancy project. The Täby Turf project has an exciting and innovative design that SSM has developed in close collaboration with Täby municipality. These 176 residential units are a valuable addition to the rental market in Stockholm, says Mattias Roos, President & CEO of SSM. The city plan for the project has been approved and construction is scheduled to start during the third quarter 2018. The first tenants are expected to move in during 2020. The information in this press release is such, which SSM Holding AB (publ) is obliged to make public pursuant to the EU Market Abuse Regulation. The information was submitted for publication, through the agency of the contact persons set out below, at 07.30 CET on March 27, 2018.